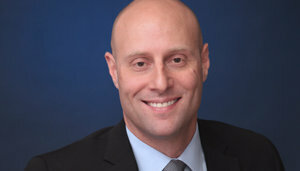 Heinz J. Salmen is a partner at Rakoczy Molino Mazzochi Siwik LLP. He holds a Bachelor of Science in Biology. His practice focuses primarily on pharmaceutical patent litigation and counseling. Mr. Salmen has extensive experience in all areas of pharmaceutical and Hatch-Waxman litigation, including pre-filing investigations, fact and expert discovery, motion practice, preliminary injunction proceedings, Markman hearings, pre-trial and trial practice, and appellate practice. He has deposed and defended fact and expert witnesses, prepared expert reports, drafted and argued motions, and conducted direct and cross examinations at hearings and at trial. Mr. Salmen has been a key member of multiple litigation teams that have defeated motions for preliminary injunctions, either keeping his clients’ product on the market or paving the way for his clients to launch generic products. He has also been a key member of litigation teams that have taken complex pharmaceutical patent cases to trial and successfully invalidated Orange Book listed patents. Mr. Salmen’s litigation experience has involved various technological fields, including pharmaceutical composition and formulation, medical devices, biochemistry, organic and inorganic chemistry, crystallography, enzymology, immunology and microbiology. Prior to joining Rakoczy Molino Mazzochi Siwik LLP, Mr. Salmen was an associate at Jenner & Block, LLP. Prior to attending law school, Mr. Salmen was an associate pharmacologist at Abbott Laboratories and a research technician at University of Chicago. While at Abbott, he analyzed discovery compounds for Cardiac-Electrophysiological safety, developed cardiac safety reports for DDC and FDA, and managed GMP compliant Level II biohazard laboratory. Mr. Salmen also co-authored several published articles during his time at Abbott and University of Chicago.